Gaza’s Islamist rulers Hamas on Saturday denied an allegation by Egypt’s deposed president Hosni Mubarak that it infiltrated hundreds of men across the border during the 2011 uprising. Mubarak took to the witness stand in a Cairo court Wednesday to testify about jailbreaks allegedly orchestrated by his successor Mohamed Morsi and members of the Muslim Brotherhood. The former president said he had received information at the time from his intelligence chief on infiltration by militants from the Gaza Strip to the country’s east during the uprising. “General Omar Suleiman informed me on January 29 (2011) that 800 armed militants infiltrated through the border,” he said, adding that militants from Hamas, assisted by North Sinai residents, used underground tunnels to cross. But Hamas said in a statement that it “strongly denies the claims made by Egypt’s ousted president Mohammed Hosni Mubarak during his testimony in court”. “Mubarak claimed that Hamas sent 800 members to Cairo in order to release Palestinian, Egyptian, and Arab prisoners from the Egyptian jails,” it said. 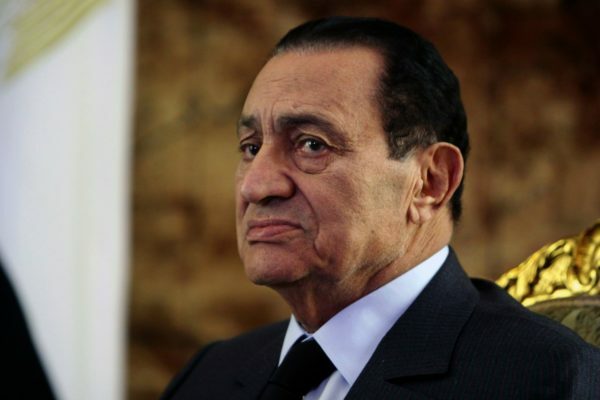 Mubarak was ousted in 2011 after three decades at the helm. In March 2017, he was acquitted of charges of killing protesters, but he remains under investigation for alleged corruption. Morsi ruled Egypt for just a year before mass protests spurred then army chief and now President Abdel Fattah al-Sisi to overthrow him in July 2013.